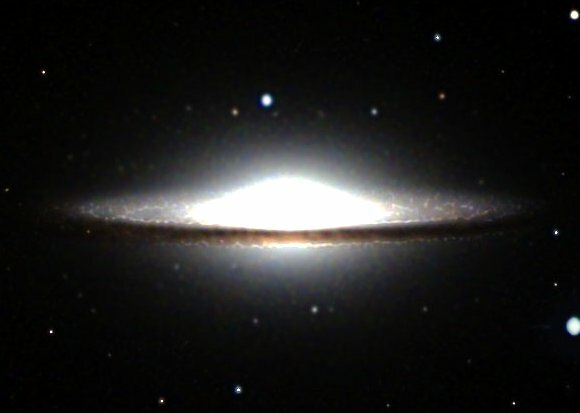 The Sombrero Galaxy (also known as Messier Object 104, M104 or NGC 4594) is an unbarred spiral galaxy in the constellation Virgo located 28 million light-years from Earth. 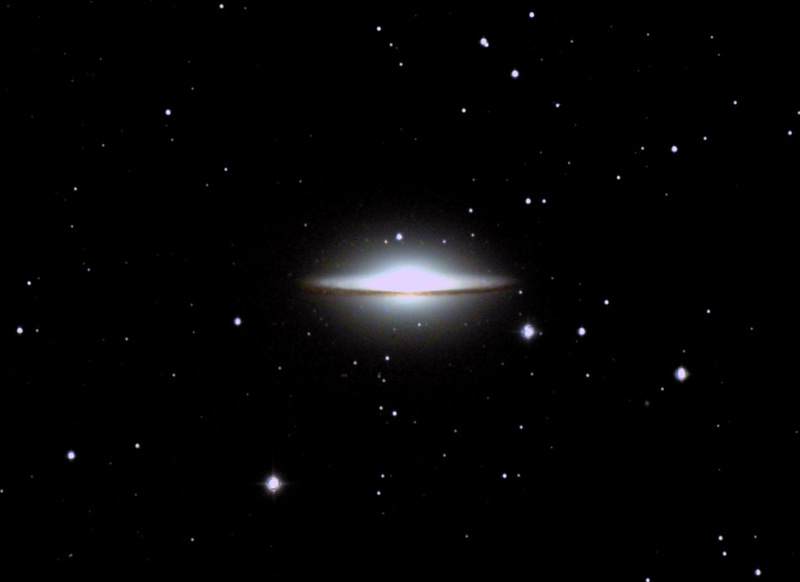 It has a bright nucleus, an unusually large central bulge, and a prominent dust lane in its disk. Several globular clusters belonging to this galaxy can be seen as fuzzy dots on the detailed image.